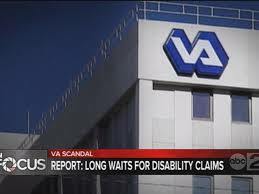 WMAR Investigative Reporting Improves VA Hospital Wait Times | Broadcast Public Service: Local Stations. Big Impact. Scripps Television’s ABC affiliate WMAR-TV Baltimore’s "In Focus" news program, which provides in-depth reporting and investigations, aired multiple reports highlighting veterans’ health care issues. As of last April, Baltimore’s VA Maryland Health Care System ranked in the top five longest average wait times for veterans new to the system who tried to get a primary care appointment. WMAR-TV spent six months collecting stories from local veterans and their families. During that period, the VA Chief of Staff addressed the issue twice, stating on Oct. 15 that 13 new doctors were hired to reduce wait times.